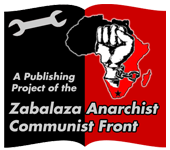 We are happy to present Beating Back the Bureaucrats from a comrade writing in South Africa. The piece focuses mostly on a recent initiative called Bloque Sindical de Base in Argentina. Argentina’s labour movement and its many divisions are not well known or understood by English-speakers in the workers movement. Having a history of revolutionary unionism that pre-dates the IWW by some decades and has continued through multiple dictatorships, union labour laws modelled after Mussolini’s Italy, and more recently a severe crisis in 2001 that led to 75% unemployment and a broad uprising, Argentina’s history contains a lot organisers can learn from about building the IWW and more broadly militant workplace organisation. How do we deal with government control over the labour movement? With efforts that push organisers into bureaucracies? With reform efforts within unions? Beating Back the Bureaucrats is a welcome addition to bring some of the perspectives and debates to our audience. The author gives a general history of the development of Argentina’s two largest trade union federations today, the CGT and CTA, starting at the birth of the CGT, its unification with the Peronist movement, and the fights and splits that have followed in the past 50 years since. Much of the work focuses on a recent initiative by union militants within the rival federation CTA which split from CGT. These militants formed a current called Bloque Sindical de Base aimed at increasing rank and file participation and combating bureaucracy within the unions it organises. Bloque Sindical de Base uses union assemblies to mobilize worker participation on the one hand and on the other runs slates in union elections. Drawing from his analysis of Bloque Sindical de Base, the author argues for positions about the development of more combative and libertarian workers movements, and how new unions initiatives could help or hinder that situation. We have some reservations about the strategy presented at least where we live in the US and Canada, but the article raises important questions for anyone that wishes to develop revolutionary unionism, and we hope it can inspire constructive debates over these issues. Much time has been spent on the left discussing whether or not the existing unions can still be seen as capable of representing workers’ interests or whether they have been completely and irrevocably co-opted to manage and contain worker struggles on behalf of the bosses – be they private or public. Consequently, a lot of time has also been spent debating whether unions can be taken back by workers (and made to serve their interests), or whether they should be abandoned altogether in favour either of revolutionary or dual unions or so-called new forms of organisation such as workers’ committees, solidarity networks etc. It is not the intention of this essay to dwell too much on the theoretical arguments in favour of one position or the other. Rather, starting from the premise that “There is no other way to explain the formation of trade union movements except by the need of workers to organise on class lines to defend and advance their own particular interests in opposition to those of the bosses”, the intention is to look at a contemporary case where rank-and-file working class militants are having some success at beating back the bureaucracy and democratising their union from below and – in discussing this experience alongside two prior attempts at establishing more independent and democratic dual unions in the same country – draw lessons from the empirical evidence and put forward conjecture on its potential strategic implications. This text thus looks at the experience of a group of workers that first joined the rank-and-file of an existing orthodox union believing it would help defend and advance their interests as workers and then – on seeing how the bureaucracy was an obstacle to pursuing their real interests (and often working against them) but still believing there to be benefits to maintaining union membership – started organising against the union bureaucracy in order to democratize the union from below and make it congruent with the workers’ interests as determined by them. The present day organised workers’ movement in Argentina is divided into two main trade union centres: the Confederación General del Trabajo de la República Argentina (CGT) and the Central de Trabajadores de la Argentina (CTA). When Perón was ousted by the 1955 military coup and Peronism outlawed the leadership of the CGT was replaced by government appointees (although the CGT itself initiated a destabilisation campaign aimed at lifting the ban on Perón and bringing him back from exile). The electoral ban on the Peronists was lifted in 1962 although Perón himself remained in exile – mostly in Franco’s Spain – until 1973. He was re-elected to serve his third term as president in 1973, this time as the Partido Justicialista candidate. The populist Partido Justicialista (Justicialist Party, PJ)  was founded in 1947 by Juan and Evita Perón and the CGT has historically been its largest and most consistent support base ever since. In 1968, as a product of the internal political differences that existed within the CGT some of the more combative union leaders, who held a more anti-imperialist and anti-bureaucratic line and were against collaboration with the dictatorship, left the CGT – which had adopted a position of collaboration with the military junta – to form CGT de los Argentinos (CGT of the Argentines – CGTA). The CGTA was more directly involved in the struggles against the implementation of neoliberal policies in the late 1960s and early 1970s. It played an important role in the May 1969 Cordobazo  student-worker uprising and called for a general strike which took place on June 30, 1969, following which most of its leadership was jailed by the military junta. Following the defeat of a strike at the Fabril Financiera industrial conglomerate that lasted 120 days and the reconciliation between Perón and Augusto Vandor – then General Secretary of the CGT and the leader of the collaborationists (the union leaders who collaborated with the military junta) – most of the CGTA unions joined the Peronist political front of the CGT; the “62 Organisations”. The CGTA lasted until 1972. During the 1970s, paramilitary death squads like the Argentine Anti-communist Alliance (AAA), linked to the right wing of Peronism, started operating in and heavily suppressing the workers’ movement: their methods were brutal, from following and persecuting workers to kidnapping, torturing and murdering combative union leaders and militants that were organising within the CGT as an alternative to the corporatist and collaborationist leadership. This whole process of repressing and disciplining the workers’ movement was consolidated under the last military dictatorship in Argentina, from 1976 to 1983 – paving the way for the path of least resistance to full-scale neoliberal restructuring in the 1990s. Neoliberalism had a negative effect on union organisation in Argentina. This was due, amongst other things, to the fact that the union leadership (of the CGT) were the ones who acceded to the policies of privatisation and labour flexibilisation implemented by the incumbent Partido Justicialista in the 1990s, under President Carlos Menem; which led many workers to see the leadership’s moves as negative and traitorous and to lose confidence in the unions. Massive retrenchments, outsourcing and the casualization of labour also had a negative impact on worker organisation and union density. The CTA presents itself as being more progressive than the CGT and can be seen as heir to the process initiated by the CGTA in the 1960s and 1970s. However, it still shares many of the same bureaucratic characteristics as the CGT in practice. Over time more bureaucratic leaders have emerged; in their attempts to consolidate their positions they have assisted in giving rise to the bureaucratic CTA of today. It is now commonplace for union leaders to perpetuate their terms in office, and, as part of these efforts, to make agreements – over workers’ heads – that favour their own interests (now distinct), and those of the bosses and government they prop up. The oficialista wing of the CTA – led by Hugo Yasky, a former teacher – organises mostly public school teachers; the opposition faction – led by Michelli – is more linked to ATE, Asociación de Trabajadores del Estado (Association of Public Workers). Both federation leaderships are clearly bureaucratic: they have developed interests different to those of the workers they represent, and they often make decisions that favour the bosses and government without consulting workers. Some have a profile oriented towards a more reformist or economistic trade unionism (Moyano or Michelli), and others that want to associate themselves with a certain progresismo (progressivism) that envisages a more central role for government in imposing “solutions” to social problems. In the CGT this progresista faction is led by Miguel Caló; in the CTA this faction is led by Yasky. Both leaderships and their decision-making processes, however, are equally bureaucratic. Moreover, because of the stakes involved both federation leaderships employ quite corrupt and violent practices. This is more prevalent in the CGT, probably due to the fact that it has more economic weight and because there are therefore a lot of economic resources at play both within the unions and the Argentine economy itself. Because the CTA largely organises in the public sector, where there are perhaps less economic resources at stake, such violent politics is less common (although it does arise from time to time, as it always will when power is challenged). Both the CGT and the CTA are linked to Peronism and the Peronist movement, but whereas the CGT is linked more directly to the ruling Partido Justicialista and to justicialismo, the CTA has a more progressive and “Left” Peronist orientation. That is to say that, while both are associated with the Peronist movement, the CGT draws on the national socialist and corporatist aspects of Perón (i.e. “right” Peronism), whereas the CTA is more Marxist in its orientation (i.e. “left” Peronism). However, despite the “right” or “left” alignments of the dominant factions in each, bridging the two federations there is a “pro-K” (Kirchnerist) faction – represented by Yasqui in the CTA and Caló in the CGT – and an “anti-K” faction – represented by Michelli in the CTA and Moyano in the CGT. Left is in inverted commas above because this so-called Left Peronism – the adherents to which currently lead the CTA – is the current of Peronism that in the 1960s and 1970s saw Peronism as an anti-imperialist project linked to what had been taking place in Latin America at the time with the Cuban, Bolivian and Guatemalan Revolutions. These were political (as opposed to social) revolutions with a more nationalist and anti-imperialist thrust, and it was in this context that the Unites States made strong advances in terms of maintaining economic control over Latin America through so-called developmentalist policies and the “Alliance for Progress”. Peronism, albeit inspired in part by the fascism and national socialism of Mussolini and Hitler respectively, represented an alternative to US imperialism – that is, a reorganisation of capitalism but with a more “social” face. Perón himself, who settled in Spain in the early 1960s under the protection of fascist dictator Francisco Franco, began building ties both with the authoritarian far left, such as the Montoneros, as well as with ultra-right groups such as the Tacuara Nationalist Movement  – modeled on Primo de Rivera’s Falange. A struggle against union bureaucracy is currently being waged inside both of these two major trade union federations. However, owing to its slightly more democratic profile, is more advanced in the CTA. (Here violent, corrupt and authoritarian practices are less widespread, which opens a bit more space for more anti-bureaucratic and rank-and-file militancy.) The CGT is very bureaucratic and very hierarchical, lacking even basic assemblies. It is also very thuggish – driven largely by the massive economic interests at stake in the sectors in which it organises. All of this complicates the potential for rank-and-file militancy and the struggle to democratize the unions from below. One of the unions that has quite a lot of weight in the CTA, and one which is also growing, is the education workers’ union – the Central de Trabajadores de la Educación de la Republica Argentina (CTERA, Central of Education Workers of the Republic of Argentina). It is here that the struggle against union bureaucracy and for internal democratisation from below is, perhaps, at its most interesting and advanced. CTERA is a national federation that unites various different provincial education workers’ unions, including the Sindicato Docentes Provinciales (Provincial Teachers’ Union) and, in the Province of Buenos Aires, Sindicato Unificado de Trabajadores de la Educación de Buenos Aires (SUTEBA, Unified Education Workers’ Union of Buenos Aires). SUTEBA is subsequently divided into different branches or “seccionales”, each with its own leadership, which collectively make up the central provincial SUTEBA leadership. In SUTEBA there exists a group of rank-and-file and politically independent education workers who met through the union assemblies. This group has been organising against the trade union bureaucracy for some time; it has been implanting the idea that workers need to organise themselves as anti-bureaucratic militants and urges workers to put themselves forward for the leadership of their seccionales – independent of political affiliation and in opposition to the incumbent party-affiliated leadership. Electoral processes in SUTEBA are such that each list of candidates for the union leadership is assigned a colour. Lista Bordó (burgundy) arose out of Bloque Sindical de Base (Rank-and-file, or, Base Union Bloc); founded around 2006 by the aforementioned education workers of independent socialist, unorthodox Trotskyist, “grassroots” Peronist and anarchist or libertarian socialist persuasion. This anti-bureaucratic bloc went through a long process of political development and union education and training; in 2013 it ran for SUTEBA’s General Sarmiento branch in José C. Paz, Province of Buenos Aires. This was part of an attempt to challenge the existing leadership represented by Lista Celeste (sky-blue, as in the Argentine flag). Bloque Sindical de Base had previously supported Lista Multicolor, a union front of various Trotskyist political parties. Bloque Sindical de Base arose in a context in which La Multicolor was in the leadership. During this time, from about 2003 to 2009, this leadership would hold periodic delegates’ meetings but prioritized the assembly method. These assemblies, however, were very often dominated and manipulated by the party militants in the union leadership, who used their positions to impose their party’s political line on the union. The strategic and political line of the workers’ organisation thus did not emerge organically from the rank-and-file through open debate, as the militants that formed Bloque Sindical de Base think it should, but was imposed from above, from the central structures of the political parties down to the union’s rank-and-file through their union front. However, what Bloque Sindical de Base argues and organises for as an anti-bureaucratic group is that the union be driven from below, by the workers. The political line and direction of the organisation, in this view, should be developed by the workers themselves, through open and democratic dialogue and debate involving a plurality of positions and ideologies; rather than being imposed by external political structures. It struggles for the union to maintain the assembly method: that decisions in the unions be made through general assemblies with the participation of the highest number of workers possible. It also underscores the importance of a pro-active approach, where unions go to the workplace, in this case the schools, where workers face daily problems. This is a very different approach to current practices, whereby workers that are experiencing problems have to find time outside of working hours to go to the union structure – which often doesn’t respond to their grievances anyway, because of the bureaucracy’s focus on looking after its own interests. It also argues for a rotation of posts in the union: if tasks and responsibilities are not shared by everyone it is very easy for a layer of bureaucrats to emerge and entrench itself, as has happened to the CTA since it split from the CGT. A challenge Bloque Sindical de Base faces in organising education workers is that teachers often tend to regard themselves as professionals or state functionaries – as opposed to workers. This can of course impede unity and the attainment of higher union density. Members of Bloque Sindical de Base recognize themselves as workers due to the condition of being salaried – which puts them on the same side as the rest of the working class in Argentina – and try to convince their colleagues of the same. Another challenge is that by virtue of being workers employed at public schools an education worker’s boss, their employer, is the national or provincial government. This adds yet another limitation to the bargaining councils, which are supposedly to mediate between the workers – represented by the unions – the state ministry and the boss. In this case the Ministry of Labour and the boss are part of the same government as state mediator and employer respectively. Obviously, the Ministry of Labour will rule in favour of that which represents their own class interests, which coincide with those of provincial and national government, instead of those of the workers. In this way education workers are always disadvantaged in annual wage negotiations in Argentina because they are faced with the Ministry of Labour as the government representative, on the one hand, and the government as the employer on the other. One should also bear in mind that the union leadership is oficialista, or pro-K (it supports the current administration), meaning that they always seek solutions that represent their own class and political interests and act in defence of government policy; leaving workers out in the cold, forced to accept whatever they are offered when possibilities of intensifying or prolonging the struggle don’t exist. There are about 15 groups in Encuentro Colectivo Docente, each pertaining to a different SUTEBA branch, or seccional, in the Province of Buenos Aires. In some cases, such as in the Bahía Blanca branch, rank-and-file workers from Encuentro Colectivo have been in the leadership of their branch for ten years already. In the December 2013 SUTEBA elections, Encuentro Colectivo also regained some old branches as well as beating the oficialista union bureaucracy and winning nine new branches. There are of course a lot more branches in the Province of Buenos Aires, but there have never before been so many branches that are organised on an independent rank-and-file and anti-bureaucratic standing. Militants from Encuentro Colectivo are present in the majority of branches with an anti-bureaucratic or non-Peronist/oficialista leadership. In this process of anti-bureaucratic struggle and democratisation, everything indicates that more anti-bureaucratic fronts are starting to be formed. Because 2013 was a year of union elections, it was a year of intense struggle for Bloque Sindical de Base, which had to organise against the Lista Celeste bureaucracy and the Lista Multicolor opposition. Bloque Sindical de Base has declared itself decidedly against the bureaucracy but is also open about its political differences with the Trotskyist anti-bureaucratic front – a tricky task considering that around the time of the elections they come under attack from all sides, both by the bureaucracy and the Trotskyist opposition. However, after the last elections, in 2013, the socialist opposition recognized Bloque Sindical de Base as a legitimate popular force; this could give way to a process of uniting the two to form a broader anti-bureaucratic and class struggle front in order to more effectively challenge the trade union bureaucracy. Not only is Bloque Sindical de Base interesting because of the struggle it is waging to democratize the union from below; it is also organising outside the union and reaching out to students, precarious contract education workers  and workers from other sectors. The group produces a newsletter, called La Boya (The Buoy), that critiques the clientelism and corruption of the union bureaucracy and provides commentary and analysis on various issues. It organises cultural evenings with live music and poetry and it organises public monthly trade union education meetings under the name Catedra Libre Agustin Tosco (Agustin Tosco Open Lecture), in order to reach out to and establish contacts with other teachers and workers from other sectors. Bloque Sindical de Base militants are sometimes also involved in supporting activities of territorial (community-based) and piquetero (unemployed) movements such as Federación de Organisaciones de Base (Federation of Base/Grassroots Organisations, FOB)  and participate in the annual Encuentro Social Desde Abajo y por Fuera del Estado gathering of class struggle organisations (Social Encounter from Below and Outside the State). Despite many heroic and hugely significant, even revolutionary, episodes of militant workers’ struggle, self-organisation and rank-and-file union democracy the history of the Argentine workers’ movement since the end of the ‘glorious period’ of anarchism and syndicalism, in the 1930s, and the rise of corporatism and Peronism has been marked – like workers’ movements elsewhere – both by bureaucratisation, party- and power-mongering and conflicting class interests as well as some notable attempts to overcome or break with these characteristics in the interests of advancing worker organisation and struggle. In the years since the decline of anarchist and revolutionary syndicalism, two significant attempts have been made in Argentina to organise workers on more democratic class struggle lines in response to practices of political patronage and the manipulation, by governments and parties, of workers and their primary organisation – the CGT – in the struggle for power. A large part of the CGTA was reincorporated back into the Peronist CGT from which it had split with the formation of the Peronist “62 Organisations” political front – partly owing, tellingly, to a betrayal on the part of some of its leaders – who put their political interests ahead of those of the workers. The section that remained outside soon disappeared; those that re-entered the CGT, while maintaining an anti-bureaucratic and non-collaborationist position, were heavily suppressed. The CTA, on the other hand, despite remaining outside of the CGT – and somewhat more politically independent – and maintaining a formal commitment to union democracy and the assembly method, has proven unable to escape the centralist and bureaucratic logic both of the parties that have fought for the dominance thereof and of its origin in the CGT, and is beset by the same bureaucratisation and political contest that plague the CGT. Regardless of how well-intentioned these initiatives may have been, however, the reasons for their failure are multiple. Not least of which has to do, obviously for some, with the statist and vanguardist logic of some of those responsible for setting up the dual unions in the first place – which led to them merely replicating the structures and practices from which they were trying to escape; the centralisation necessitated by political interests distinct to those of the class also facilitated the emergence of a bureaucratic elite who subsequently developed distinct economic interests as well. Another reason is the fact that organisational cultures and the practices of working class militancy do not change either over night or by decree. The level of participation of an ordinary worker – one who has neither undergone political or organisational training nor gained leadership experience through struggle – depends on their confidence: regarding their participation, their understanding of the functions, procedures and objectives of the organisation, and their ability to fulfil tasks given to them. This confidence, and the practical ability to perform organising and union functions it enables, is often developed over years of militancy and handed down from one generation of workers to another. That is to say, the level of participation of the rank-and-file majority in a union is often established over years of the union’s existence. It is both internalized by workers, and institutionalized in the practice of the union. If the majority of workers have internalized their role, perhaps due to lack of confidence, experience or opportunity, as being one of low-level engagement and participation (where the most important functions and decisions are left to a layer of leaders or bureaucrats), then they will likely carry that behaviour through into other unions they might in future join or play a part in forming. Even if they disagree with the centralisation of decision-making and work, without accessing the space to gain their own experience in these roles, this practice (or lack thereof) will carry through into new experiences – including into initiatives started to redress this problem in the first place. What the Argentine experience shows is that irrespective of how many splinter-unions and break-aways are formed, if these are not preceded by a deliberate program of political education, organisational training and sustained effort to increase rank-and-file worker participation and militancy in every aspect of union life, by building workers’ capacity and self-confidence to do so, then the leading militants that drive these moves – whether they set out to do so or not – will often reproduce old hierarchies and patterns by taking upon themselves the most crucial roles in decision-making and task implementation. In the process, they begin to constitute a new bureaucratic or technocratic elite, removed from the rank-and-file, that ‘represents’ workers and runs the union on their behalf rather than contributing towards building a new non-bureaucratic and worker-controlled union. Rather than being taken either by a ‘politically enlightened’ or ‘revolutionary’ vanguard (whether they claim the title or not) or layer of militants, the decision to break away and establish a dual union should come as a result of anti-bureaucratic and class struggle self-organisation and pressure from below and should come as a last resort when other attempts to dislodge the bureaucracy, democratize the union and stimulate worker self-activity and control have been tried and failed; and if there is reason to believe that, if done strategically with adequate preparation and at an opportune moment, significantly large sections of the rank-and-file would support the initiative and jump ship for the new union. Essentially leaving nothing of the old union but a bureaucratic shell. This, again, should be seen as a last resort because as long as workers think the existing unions offer even the slightest defence of their interests, however modest, and don’t see a viable alternative that they are confident could offer them the same or more protection the vast majority of workers will remain in even the most bureaucratic and corrupt sweetheart unions and will not risk abandoning the devil they know for the one they don’t. Therefore, any attempt to form a dual union without adequate preparation and impetus from the base will, in all probability, fall flat on its face or, at best, succeed in establishing a perhaps qualitatively better union; but one quantitatively insignificant and marginal in the eyes of the majority of workers. In contrast, rather than engineering a split from the CTA – which is in turn a split from the CGT – and thus further fracturing the workers’ movement, Bloque Sindical de Base opted instead to try and challenge the political and organisational culture of the union from within. This is because they believe that, rather than abandoning the fate of the majority of workers to the bureaucrats’ will by breaking away to form a minority splinter union, the union itself is something that can – and should – be contested and, ideally, brought under worker control by democratizing it from below and driving the bureaucracy out. It is important to note here, however, that Bloque Sindical de Base does not aim to seize control of the union from within, but rather to encourage workers to become the protagonists of their own union both by contesting the leadership thereof independent of political parties and organising independently of the bureaucracy. No one can predict the outcomes of their struggle for democratisation from below against the union bureaucracy. Perhaps they will succeed, fully or partially, by bringing increasingly more branches of the union under democratic control. In this case, workers may be left to forge the direction of their union and struggles in a directly democratic way through the assemblies, without allowing political parties to impose themselves on the union by transmitting their political line through party representatives. On the other hand, there is a real danger that if the democratic practices promoted by Bloque Sindical de Base become a threat, the authoritarian and statist elements – socialists and Peronists alike – will close rank and attempt to drive them out of the union altogether. In this case, perhaps they will admit defeat and attempt to form a dual union, taking as many of their fellow workers as they can with them. This would be regrettable in that it would fracture the organisation of education workers – unless they succeed in taking the vast majority of workers with them. But this would largely depend on their success at mobilizing workers in the present to fight the bureaucracy. However, while it might ultimately prove necessary to break away to form another union it is important first to contest the organisational and political space within the existing unions and, in so doing, prepare the rank-and-file and accustom them to direct worker participation and self-activity instead of a radical or revolutionary minority initiating a breakaway without first preparing the conditions and capacity for worker control through self-organisation and struggle. Ultimately, first prize would be to completely discredit and drive out the incumbent bureaucracy and defeat any attempts by authoritarians, opportunists and centralists alike to take over and maintain the centralisation of the union apparatus by putting workers forward as independent rank-and-file candidates in union elections and encouraging them to do so themselves, as well as both by stressing – as did Tosco – the primacy of the assemblies as the highest un-replaceable bodies of the unions and by encouraging the self-organisation and activity of workers in struggle both beyond questions of wages and the confines of the union apparatus. After all, it is a truism that the best arena for the formation of militants and the development of self-activity is in struggle, where workers are more likely to come together to discuss their problems and plan responses. Struggle is also precisely what corporatist bureaucratisation of the trade unions is in place to contain; and so the struggle against union bureaucracy is a legitimate class battlefront in the process of forming militants and encouraging self-activity as it is through such struggle that workers can be accustomed to taking on a more active role in the union and through which the antagonistic class interests that exist in the union can be polarized. It is precisely the experience and the accompanying rise in worker consciousness and confidence gained in this battle that will determine future outcomes – and this is where the Bloque Sindical de Base experience is at its richest. Moreover, in so doing, and by reaching out to and linking up with other (emerging) rank-and-file and anti-bureaucratic groups, resistance societies (such as the FORA), likeminded individuals from different branches of SUTEBA and different unions within the CTA – and even the CGT – across sectors and including so-called casual or fixed-term contract workers Bloque Sindical de Base, Encuentro Colectivo Docente and similar initiatives would already be constituting the beginnings of an anti-bureaucratic and rank-and-file current within the unions and workers’ movement more broadly. This could serve to stimulate anti-bureaucratic militancy, worker self-organisation and activity, develop and coordinate common rank-and-file campaigns and activities and support the fostering of an independent rank-and-file consciousness and movement for workers control across regions, sectors and unions; across all spheres of worker resistance and uniting in common cause as many independent, anti-bureaucratic, revolutionary and rank-and-file workers’ organisations and initiatives as possible. As a result of the corporatism of Peronism only the CGT has full union status and the accompanying rights to participate in planning institutions, intervene in collective labour negotiations, monitor compliance with labour law and social security, work with the State in the study and solution of workers’ problems etc. Full union status is one of the historic demands of the CTA, which currently only has union recognition, which grants the CTA less extensive rights and is generally seen as a first step to gaining full union status. Contracted and precarious labour is also a feature of the teaching and education sector in Argentina, reflected in the Kirchnerist government’s new education finance plans such as the FINES Plan (Secondary Studies Finance Plan). FINES is promoted as a program to help young adults who dropped out of school to complete their secondary studies, in two years instead of four, but with reduced content and no recognition of labour rights for education workers. For teachers this is a neoliberal attack – an attempt to undermine and, eventually do away with the program of adult nights schools that has been in place in Argentina for years. FINES undermines organised labour and workers’ rights by promoting the flexibilisation of labour whereby the tutors – that spend no more than two hours with a student a week – are contracted for periods of four months, thus lacking job stability and receiving only a basic salary with no benefits. Moreover, as with all other social assistance programs in Argentina, access to them – in this case to tutors’ contracts – are awarded not according to need or merit but according to a system of political patronage and clientelism. It also encourages high school students to drop out of school because they feel that they can get the same qualification in half the time. In reality it is a far inferior education: no standards govern the program, no external or independent evaluations exist, and tutors can thus pass and fail students at a whim. It is a policy that enshrines precarious education for poor students, and precarious work for education workers; it is in this context that militants from Bloque Sindical de Base are linking up with contract tutor-teachers and high school students struggling around the learning and teaching conditions associated with FINES. Jonathan Payn is a researcher-educator at the International Labour Research and Information Group (ILRIG).